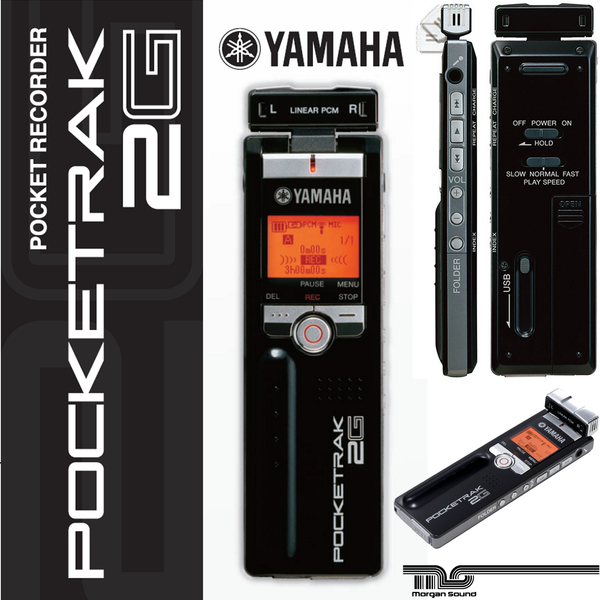 This handheld recording device is compact, lightweight and extremely portable. Built-in stereo mics plus mic inputs and a variety of both high-quality PCM and extended recording time MP3 modes offer immense flexibility of use. 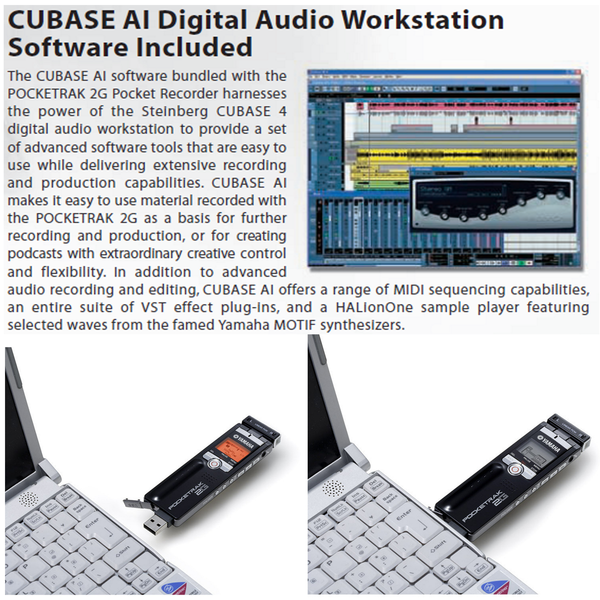 Packaged with Steinberg’s CuBase AI editing software, with direct USB connection to the hardware platform of your choice. 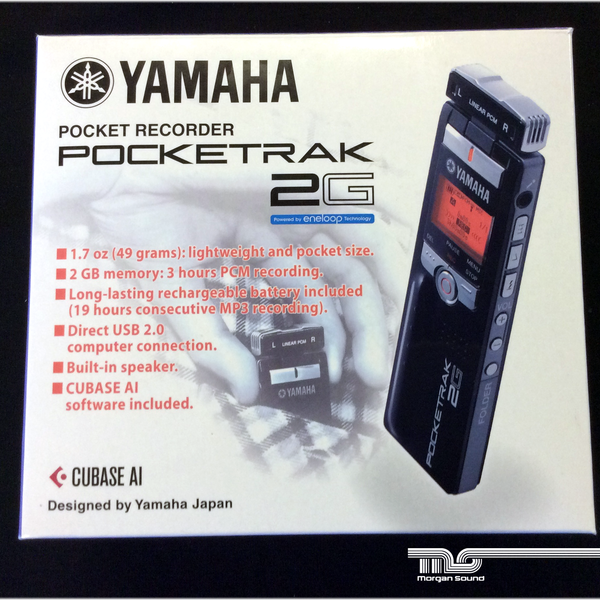 In addition to a CD-quality linear PCM recording mode that lets you record up to 3 hours of music, there are a number of MP3 modes that provide significantly longer recording times. 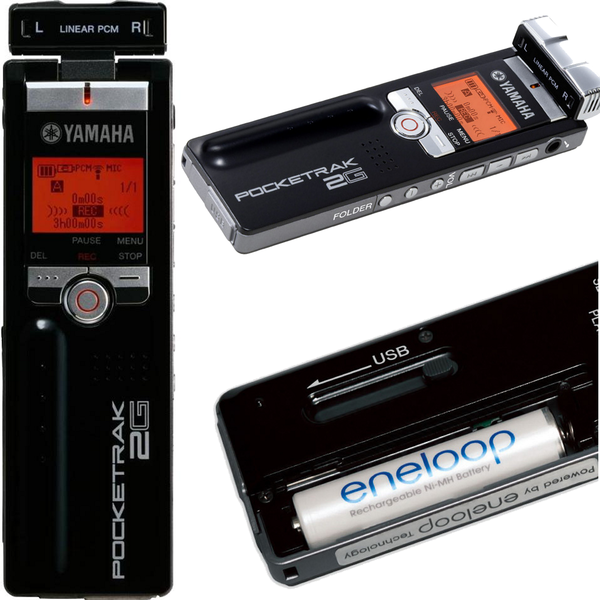 The supplied long-lasting rechargeable battery can keep the POCKETRAK 2G running for up to 9 hours continuously when recording in MP3 mode. 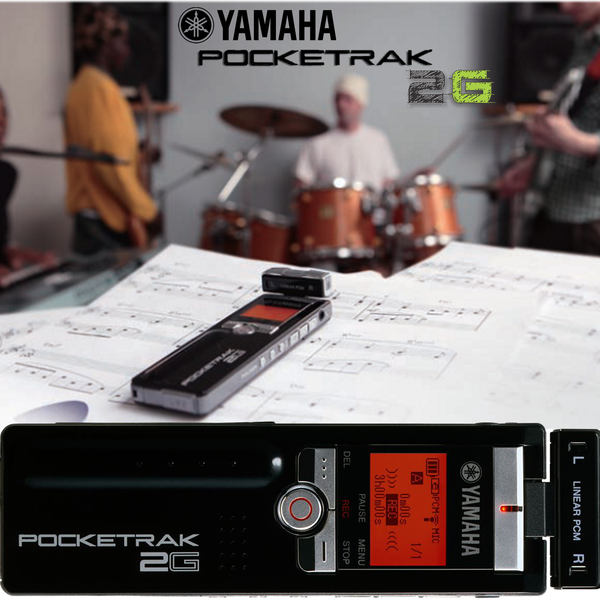 Slide out the built-in USB connector and connect the POCKETRAK directly to your computer to transfer files back and forth, and use the bundled CUBASE AI digital audio workstation software to edit and enhance your recordings with pro-level control.